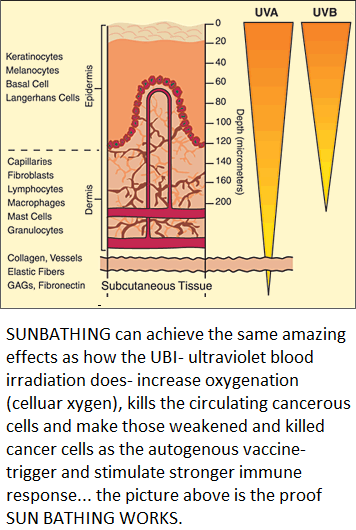 According to a scientific article in "Health & Diet Times" (June/July 1982 issue) written by Lee de Vries, MD, cancer cells self-destruct within minutes after exposure to strong intense light. What happens is that the cancerous PLANT cell changes its formaldehyde into a plant sugar molecule giving off oxygen-ozone in the process and it is this element combination of O2 and O3 which causes the disintegration of the cancer cell. If you can't get enough sunshine, make absolutely sure that you obtain enough of the essential fatty acids (LA and LNA) ...so that your organism can produce the important prostaglandins, the precursors of hormones. 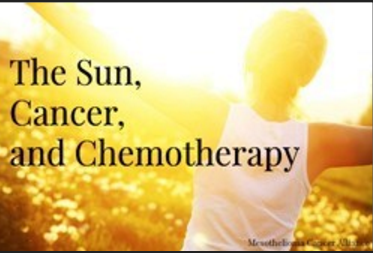 ... Get as much exposure to sunlight and fresh air as you possibly can and watch your tumors and cancers shrink away.